Lucas the lion cub loves playing with his friends, snacking on his favorite foods and watching his favorite shows on TV just like everyone else. But unfortunately, Lucas can't talk. This makes communicating difficult for Lucas, and frustrating, because people don't understand what he wants and he can't find a way to tell them. Then one day, Lucas' mom brings home The Tiny Talker™ to help when he can't find the words he needs. The Tiny Talker Method helps children with communicative disabilites learn to use an augmentative and alternative communication (AAC) device in a more natural way. By pairing the device with a storybook, children are able to see the symbols in the story, touch the corresponding sound buttons on their Tiny Talker device, and hear the device's response. This reinforces children's understanding by appealing to visual, kinesthetic, and auditory learning styles all at once. 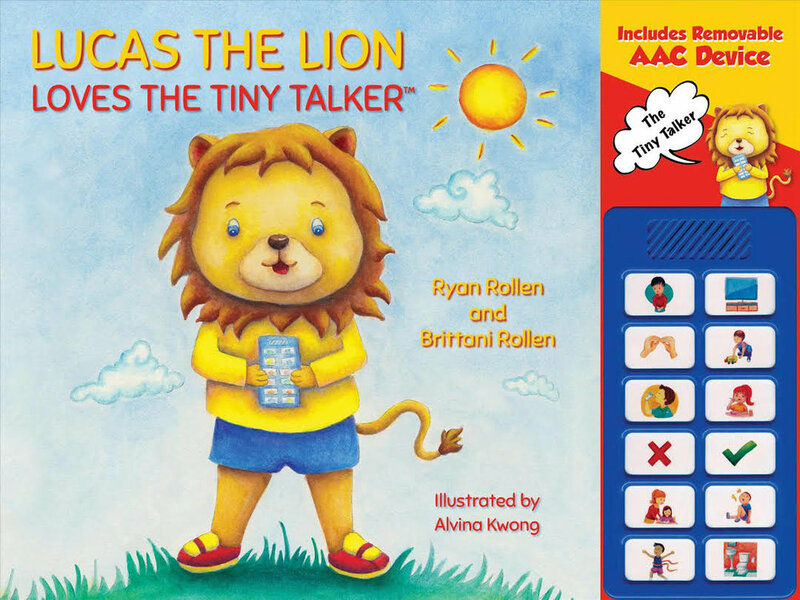 Lucas the Lion Loves The Tiny Talker is a fun and intuitive way to help children find their voice!